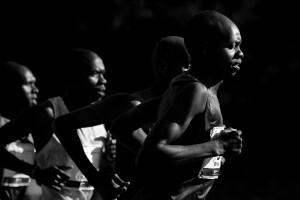 Staff Photographer Gabe Souza explores another way to tell the story of the race in Cape Elizabeth. 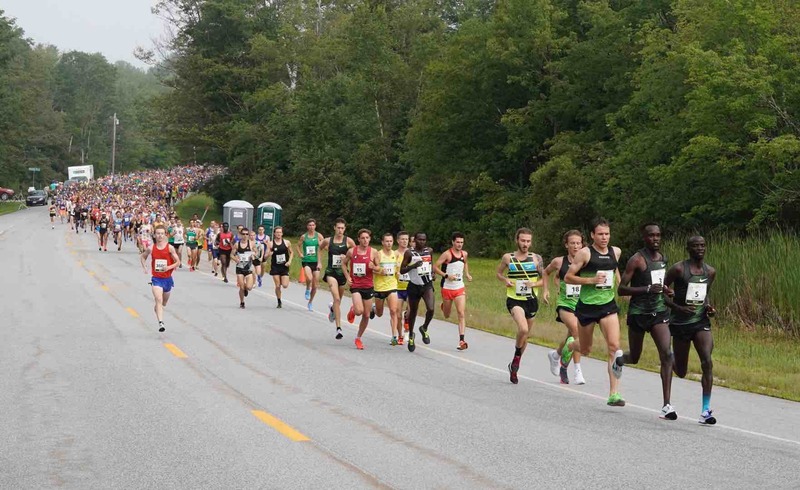 The runners are off at the start of the Beach to Beacon road race. 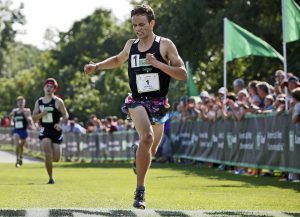 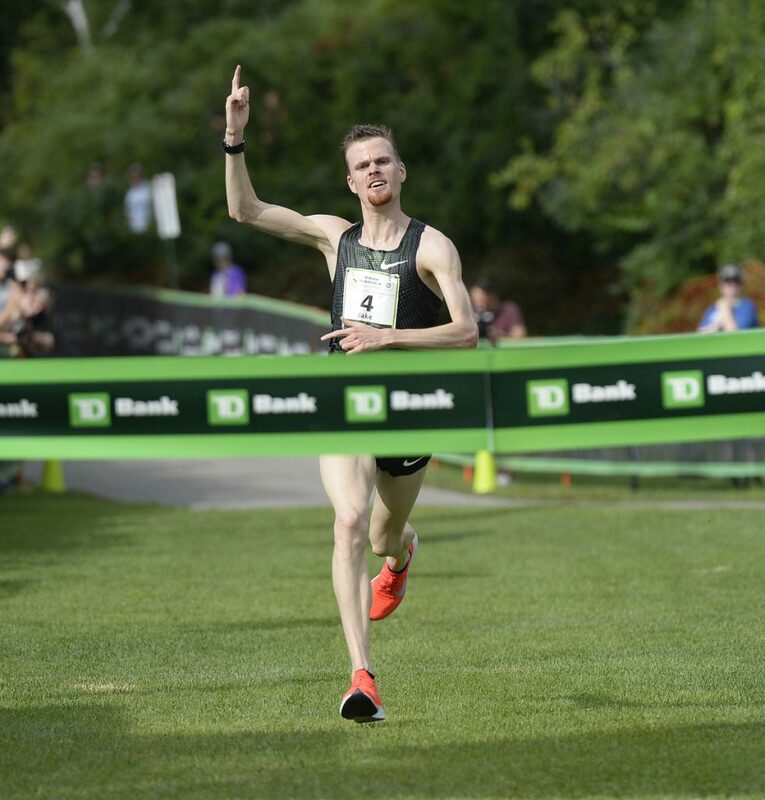 New Zealand’s Jake Robertson won the 21st Beach to Beacon 10K road race in an unofficial time of 27 minutes, 36 seconds. 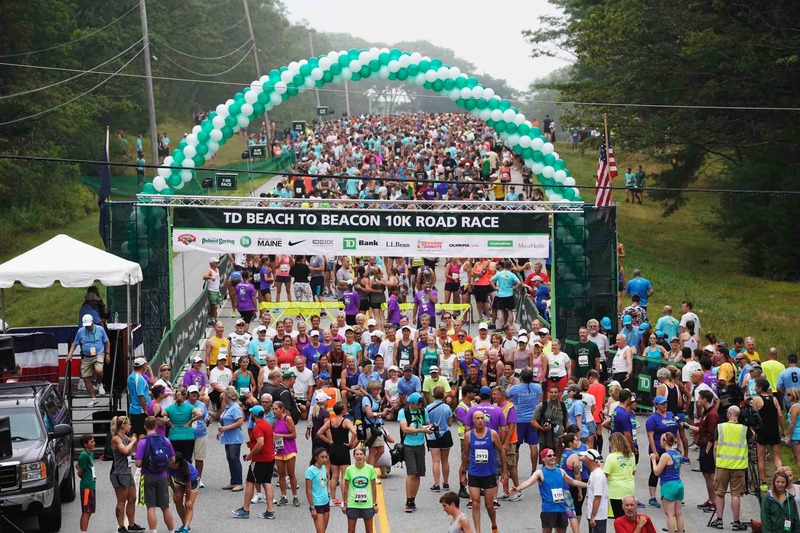 Runners prepare for the start of the Beach to Beacon 10K road race. 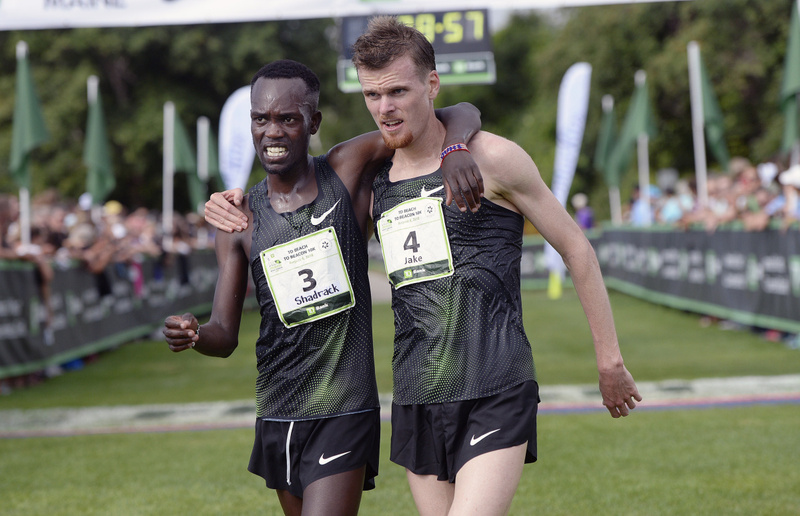 Shadrack Kipchirchir of the United States and New Zealand's Jake Robertson congratulate each other after the Beach to Beacon on Saturday. 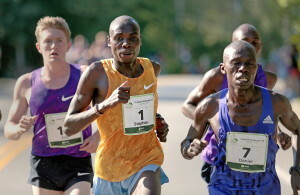 Robertson came in first place and Kipchirchir came in fourth. 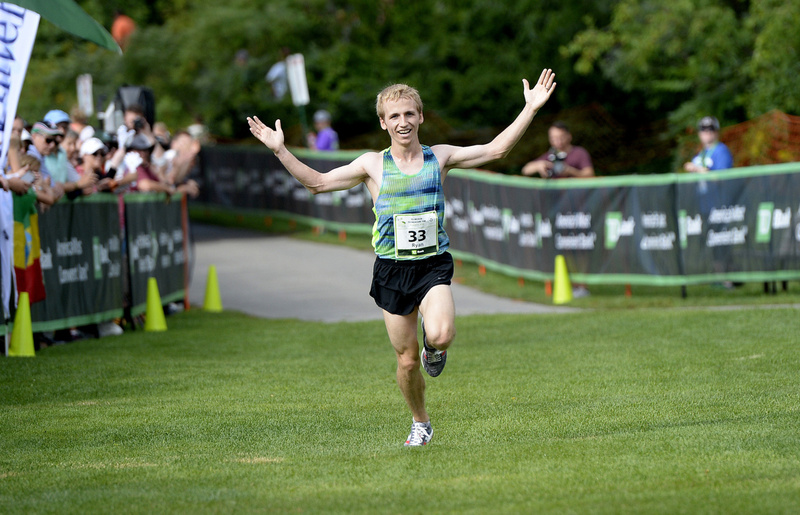 New Zealand's Jake Robertson approaches the finish line of the Beach to Beacon road race Saturday. 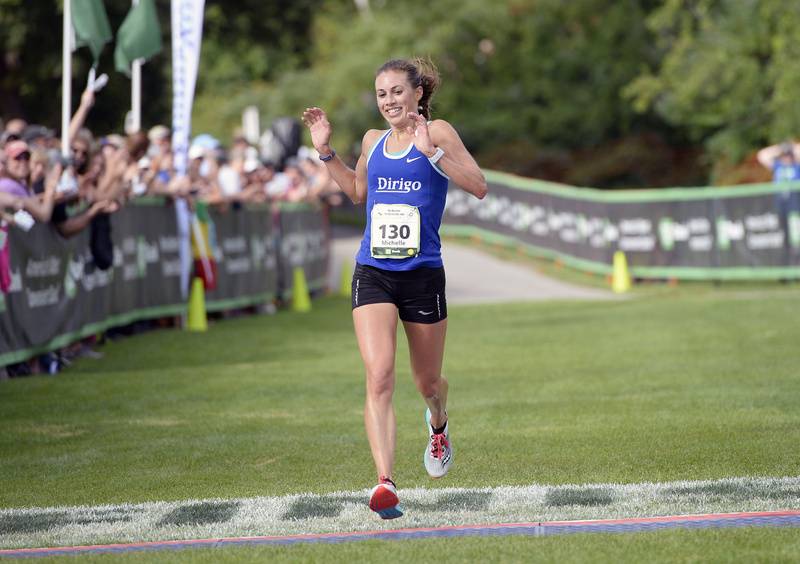 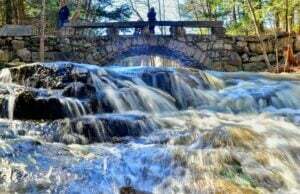 Portland's Michelle Lilienthal was the first Maine female in the Beach to Beacon on Saturday. 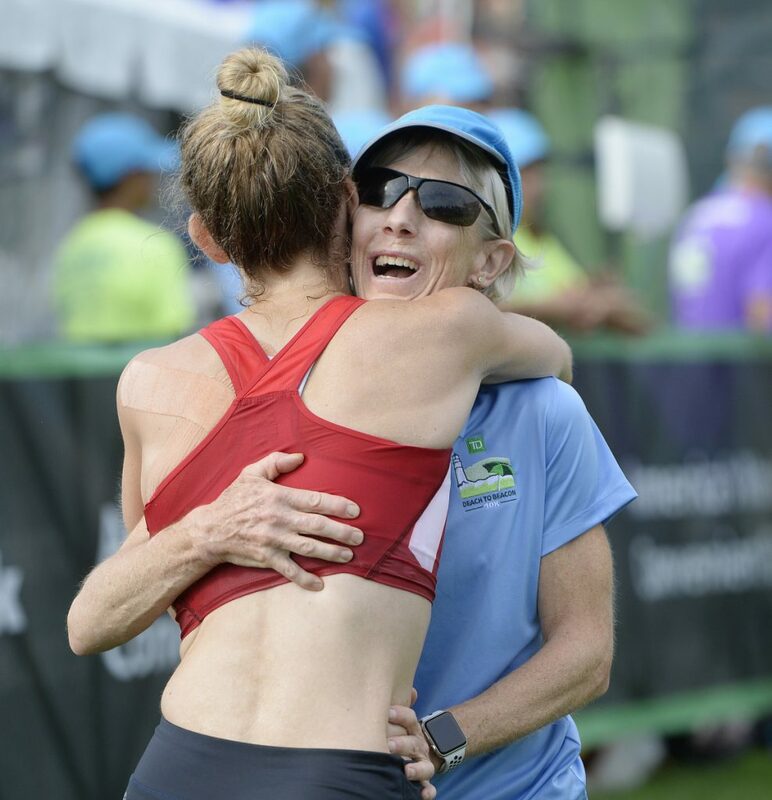 Joan Benoit Samuelson congratulates runners at the finish line of the Beach to Beacon on Saturday. 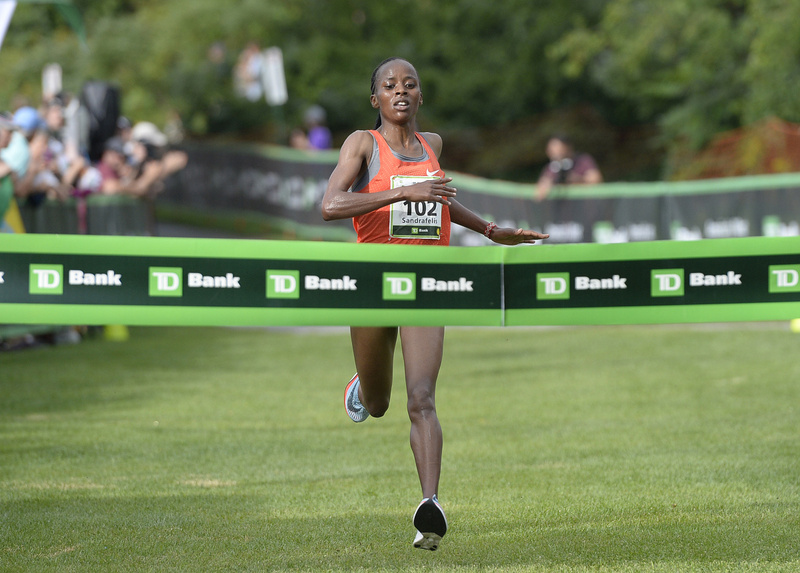 Sandrafelis Chebet Tuei of Kenya approaches the finish line to win the Beach to Beacon road race Saturday. 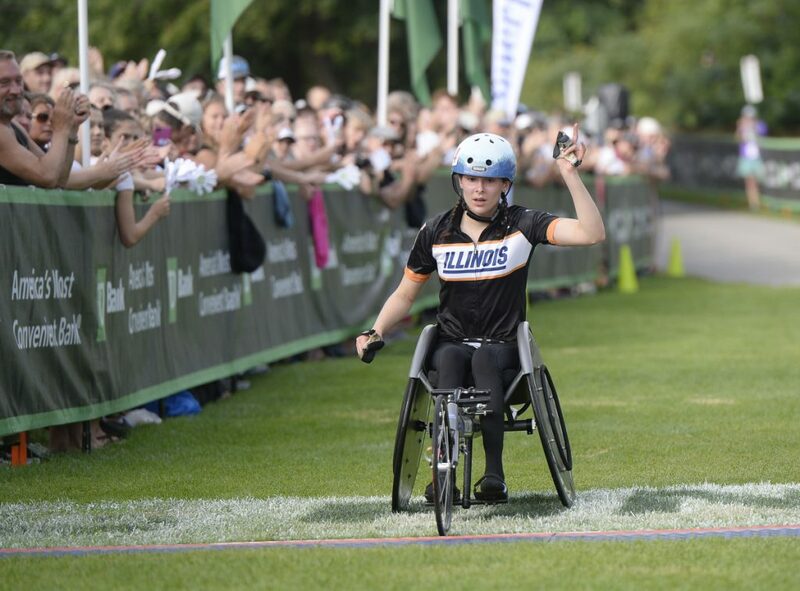 Katrina Gerhard of Massachusetts crosses the finish line to win the female wheelchair division of the Beach to Beacon on Saturday. 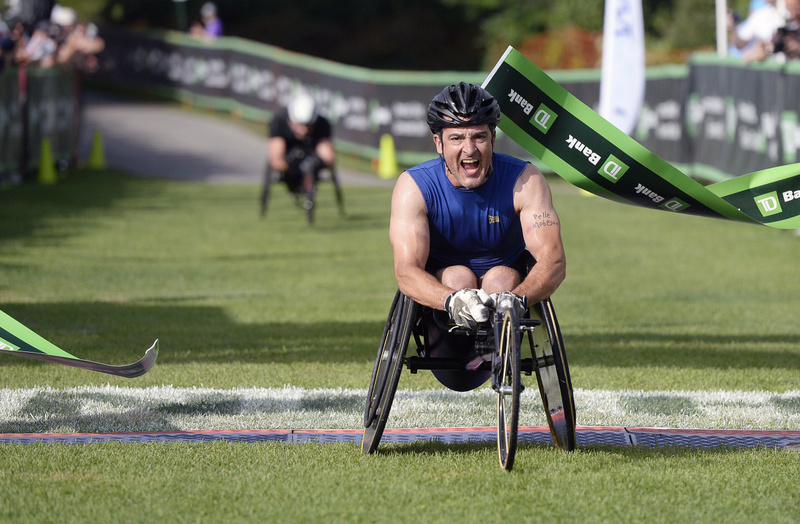 Tony Nogueira of New Jersey crosses the finish line to win the wheelchair division of the Beach to Beacon on Saturday. 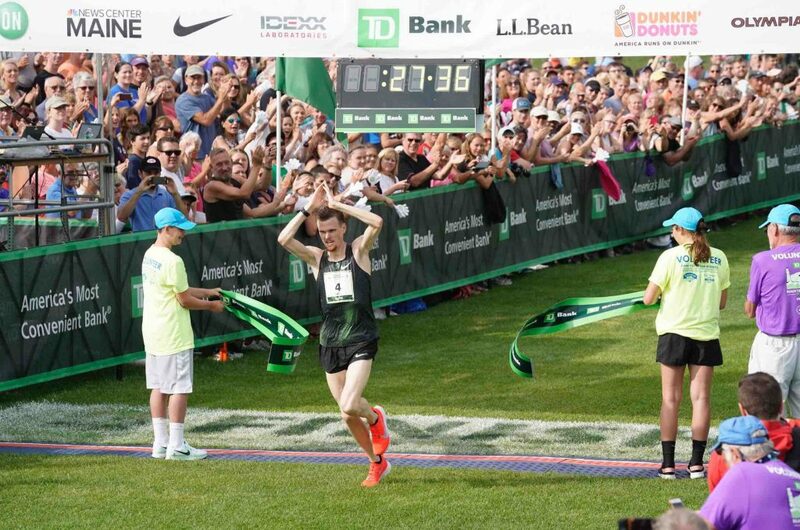 The first Maine finisher was Ryan Smith of Farmington at the Beach to Beacon on Saturday.